Yoga, which originated in India, has been with us for the past 2500 years. During its historical development, though it was influential predominately among the various brands of Hinduism, it became an essential part of the Buddhist and Jain meditation styles and later on was adopted as a contemplative practice by the Chinese Taoists and Japanese Zen Buddhists. It is only recently that the West has opened its doors to its wholehearted acceptance by making it a way of life. 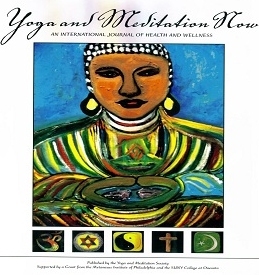 The idea for creating the eBook originated from the three years long work of the Yoga and Meditation Society for the Scientific Study of Spirituality that was formed because of the need to present authentic versions of yoga and meditation to the public. The Yoga Society started in 2004 through a generous grant from the Metanexus Institute of Philadelphia and a matching one from the SUNY College at Oneonta. During its three years of existence, the Yoga Society brought to the SUNY Oneonta campus more than two dozen scholars and practitioners representing diverse disciplines to discuss contemplative practice in Hinduism, Buddhism, Taoism, Yoga, Zen, Christianity, Islam and American Indian traditions. These speakers attracted more than 2000 people and their videotaped lectures reached many more in the upstate New York area. Since the speakers’ series was enthusiastically received by the general public, we decided to continue this exciting work through the creation of the present Journal.